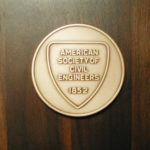 Four Society members have been honored as recipients of ASCE awards for their dedicated service to the civil engineering profession. Donald H. Gray, M.ASCE, received the Ralph B. Peck Award for developing new methodologies, design recommendations and procedures for environmentally-friendly bio-stabilization techniques through the careful, and comprehensive documents of numerous case histories as published in scientific publications and books. Peter K. Robertson, Ph.D., P.Eng., M.ASCE, received the H. Bolton Seed Medal for internationally recognized contributions in the areas of geotechnical earthquake engineering, especially use of in-situ tests related to soil liquefaction potential, and the development of CPT for evaluation of flow and cyclic liquefaction as well as seismic ground hazards. Gholamreza Mesri, Ph.D., M.ASCE, received the Karl Terzaghi Award in recognition of his pioneering work on soil mechanics and soil behavior including consolidation and settlement analyses, shear strengths for static and seismic slope stability analyses, and undrained shear strength of soft clays and loose sands. Donald A. Bruce, Ph.D., D.GE., M.ASCE, received the Karl Terzaghi Lecture for his passion and insights in shaping the way we solve practical problems in the geo-design industry, by expanding our understanding and application of technologies such as anchors, micropiles, grouting, deep mixing methods and diaphragm Walls.